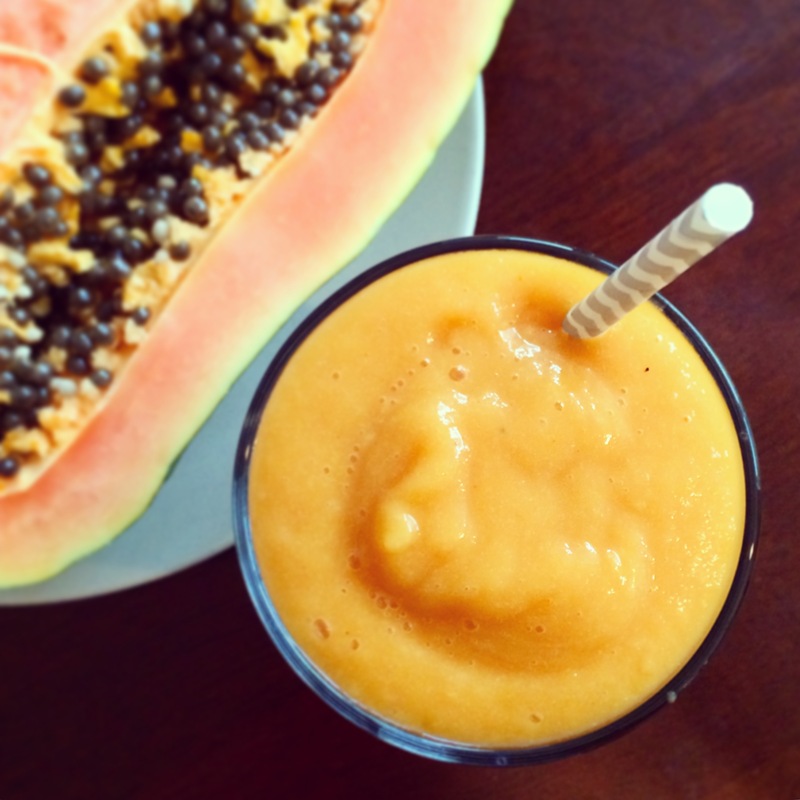 Spring is finally here and what better way to celebrate than with a delicious papaya smoothie recipe featuring seasonal ingredients, and superfoods of course, to get you in the mood. I usually do not gravitate towards fruit smoothies, but this recipe is filled with nutrients and flavor combinations that allow you to sneak in some awesome superfoods and spices to really make it a slam dunk nutritionally. It is perfect for a post workout indulgence! Papaya contains high levels of Vitamin C (about 150% of your daily value in just half of the fruit) and Vitamin E, as well as a large number of antioxidants. These antioxidants are known to help fight against cancer as well as many heart related diseases. Papaya is known to boost your immune system because of its cell strengthening properties. This fruit also contains Vitamin A which is known to protect the retinas in your eyes; preventing certain eye diseases and macular degeneration. 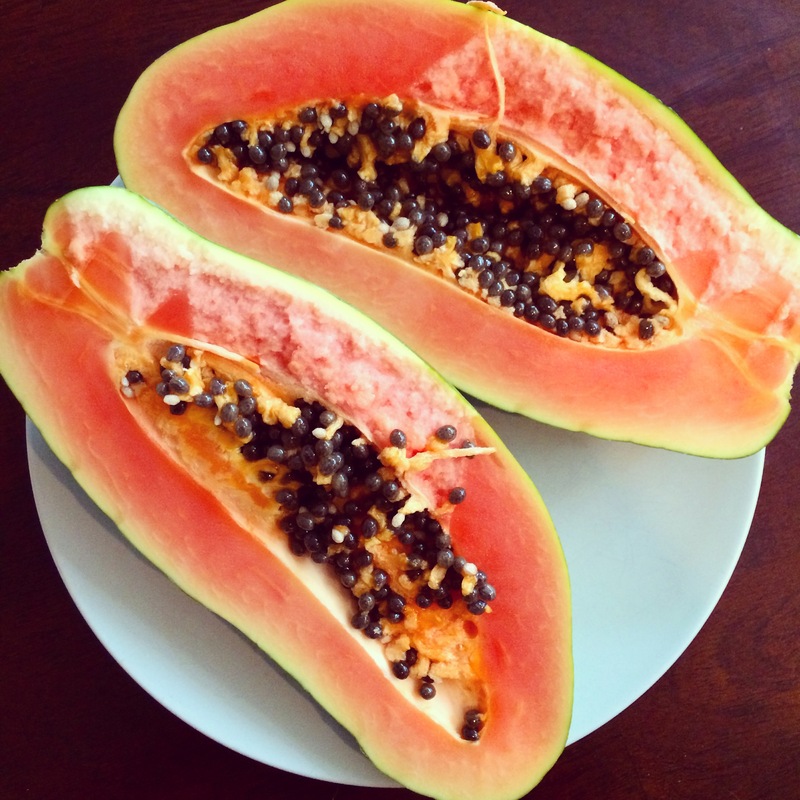 Papaya is most widely known to help improve digestion. It contains an enzyme that helps break down proteins in your body which helps gastrointestinal issues and keeps everything moving properly. Papaya is also known for its amazing affects on the skin. The levels of vitamins and antioxidants in papaya work to fight against skin cell damage. Many nutritionists and natural beauty experts actually rub raw papaya on their skin to help eliminate blemishes, spotting, and heal wounds. For another great way to use papayas check out my papaya yogurt boat recipe.